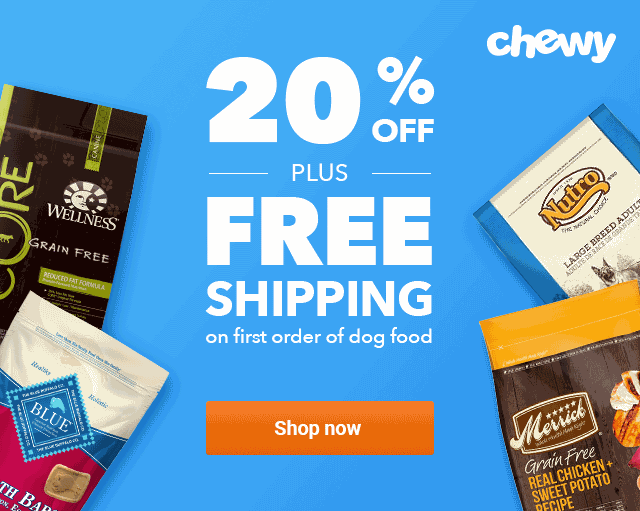 Fromm Dog Food Review: Is it a Healthier Pet Food Choice? This Fromm Dog Food review and ingredient analysis will help you navigate shopping for dog food to find the perfect one for the pawtastic member of the family! 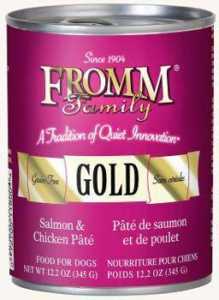 Fromm Family Foods has been on the pet food supply market since 1904 when the company first started creating quality pet supplies that were nutritional. 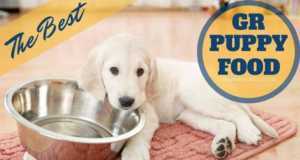 In 1949, Fromm started producing a premium pet food that paved the way (or pawed the way) for future pet food companies to create nutritional, premium pet food. With the foundation of the Fromm family company being built on family values, they know how important it is to create a pet food that keeps all members of your family (including the 4-legged ones) happy and healthy. 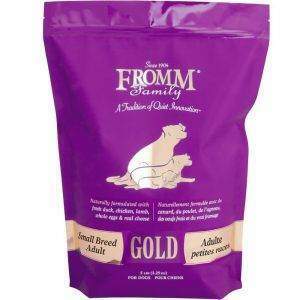 We give Fromm Dog Food a rating of 4.8 out of 5 stars. “Is Fromm Pet Food good?” you may be asking yourself. And the answer is yes! 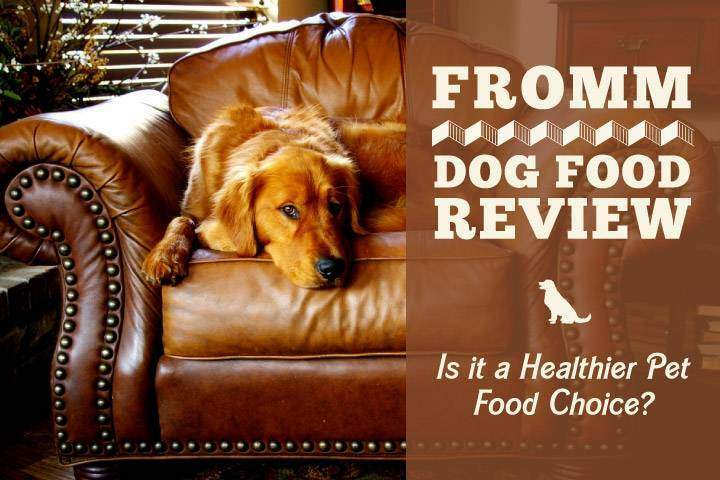 Reviews of Fromm Dog Food and an in-depth ingredient analysis show that you get a quality dog food for your furry friend with no major concerns to bother with. You will find quality ingredients, a high nutritional value, and raving reviews from customers when you choose Fromm Dog Food. We gave Fromm Dog Food a rating of 4.8 out of 5 stars for exceptional quality and customer reviews! 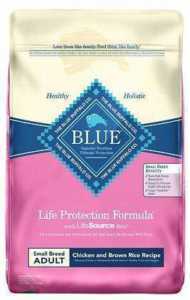 Tasty flavors are super important when it comes to finding a dog food for even the pickiest eater. 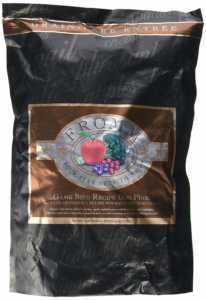 Reviews demonstrate that customers are super happy with the taste of Fromm. 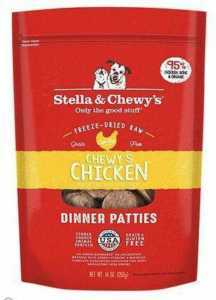 “This is my dog’s favorite food,” was something customers say over and over again! Reviews of Fromm Dog Food show that customers are highly pleased with the effects the food has had on their dog’s allergies. 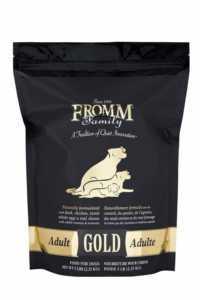 Dogs who previously had serious issues with itchy skin and digestive issues have found Fromm Dog Food to be great for relief of those issues. 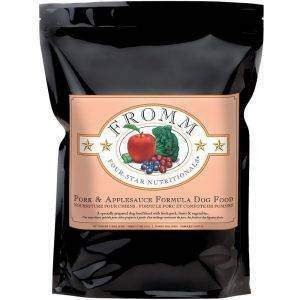 While Fromm Dog Food reviews don’t mention this aspect as much, nor does the ingredients list, there are small amounts of cheese and tomato pomace in some of the formulas. This may not seem like a huge issue, but cheese can be hard on a dog’s digestion. If your dog has a hard time digesting dairy, it is imperative that you check the ingredients list before purchasing to ensure no cheese is included. 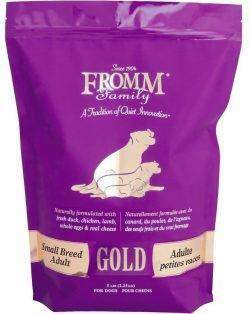 Fromm makes excellent dog food, but they aren't cheap, nor are they easily accessible from everywhere. We've created this table as a guide for you if you are searching for a more affordable or more readily available alternative to Fromm. 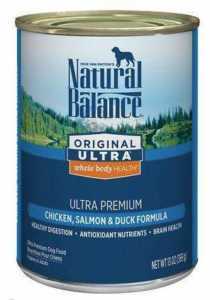 The first ingredient that is listed in the formula is real meat (duck, chicken, etc.). While real meat loses moisture after cooking, which reduces its content level, it is still great to know that real meat is a top ingredient choice. After the real meat, the second ingredient listed is a meat meal product like chicken meal or duck meal. Meals contain about 300% more protein than fresh meat; therefore, the protein lost in reducing the meat volume can be made up by the meat meal. One of the key elements to consider about Fromm is that not all of the formulas are grain-free. 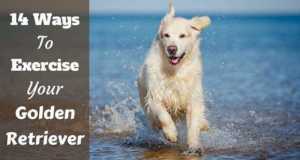 While this might not matter to some pet owners, this can be a huge turn off for others. Why? 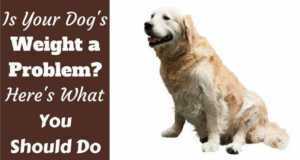 Simply because grains can cause allergic reactions in some dogs, like itchy skin. However, there are products in the line that are grain-free so there is something for everyone. 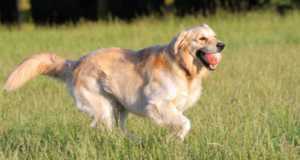 If the product does include grain, it is a plus because grains and wheat can provide quality carbohydrates, which provide fiber for your dog. 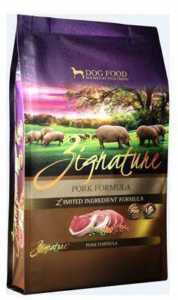 According to the FDA website, there have been no recalls for Fromm Dog Food in the recent years. The verdict is in—Fromm Dog Food is a great choice for your pooch! 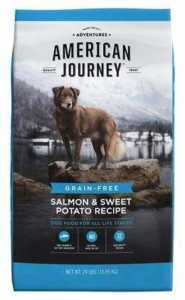 So, if you’re finding yourself wondering is Fromm Dog Food good for your furry friend, the answer is absolutely yes. 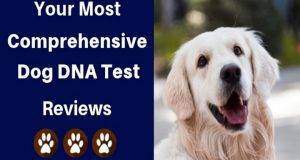 Because Fromm is a family owned company with high values of providing four-legged family members, you will find the reviews of Fromm Dog Food to be spot on and pawfect for your dog. Choosing Fromm is a great choice and one your dog will certainly thank you for days to come! Next: Merrick Dog Food Review: All-Natural Goodness is So Good! 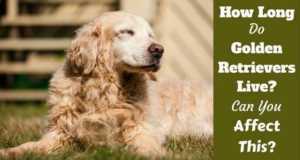 How Long Do Golden Retrievers Live? How Can You Extend This?